Bloomington, Ill — When Hunter Keane was seven years old, he was bitten on the nose by a family dog. Now fourteen years old, Hunter and his family understand it wasn’t the dog’s fault. Like many people, they thought the way to show affection to a dog was the same way as showing love to people – by hugging and kissing them. Even though the bite didn’t break the skin, that day taught Hunter and his parents several valuable lessons but one stuck out the most. In 2014, State Farm paid nearly $115 million as a result of 3,500 dog-related injury claims. Over the past five years, the insurer has paid $528 million for claims resulting from accidents involving a dog. State Farm does not ask policyholders what breed of dog is owned when writing homeowner or renters insurance. The insurer is partnering with internationally renowned dog trainer Victoria Stilwell to focus on educating individuals about responsible dog ownership and safely interacting with dogs. Children make up more than 50 percent of all dog-related injury victims. To better understand the level of knowledge about dog behavior among children, the National Dog Bite Prevention Coalition created a quiz focused on children age 5 -9. 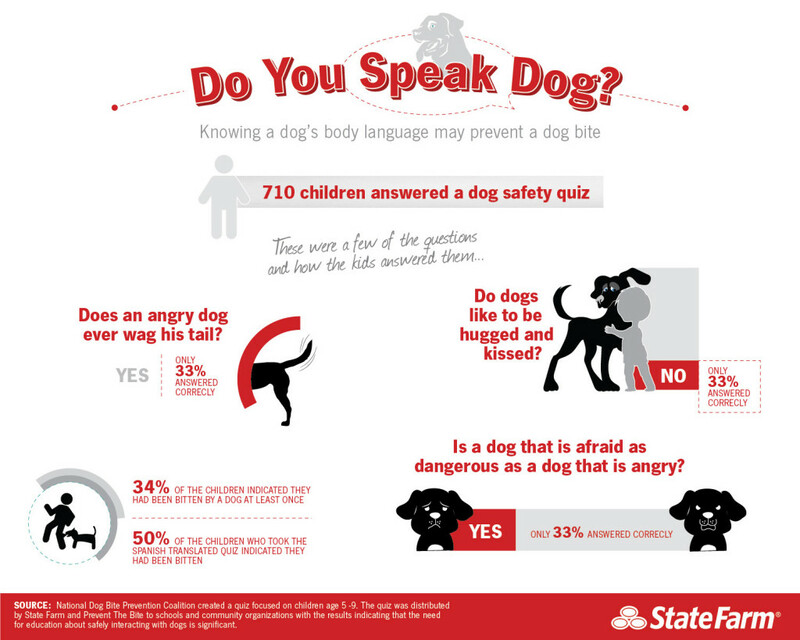 The quiz was distributed by State Farm and Prevent The Bite to schools and community organizations last month with the results indicating that the need for education about safely interacting with dogs is significant. Greeting dogs respectfully can reduce the chance of a dog bite. 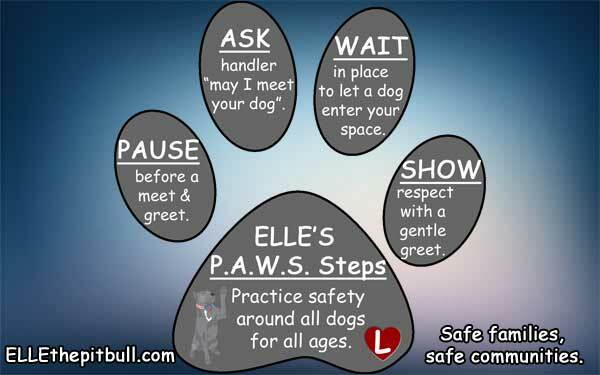 Remember to PAWS – Pause, Ask, Wait, Show. State Farm and members of the National Dog Bite Prevention Coalition are hosted a media conference at the National Press Club on Thursday, May 14 beginning at 9:30 AM ET. In addition to releasing the full results of the dog safety quiz, the press conference will feature young children from Maryland and Washington D.C. sharing their personal experiences with dogs. Victoria, Kathy and Kelly Voigt from Prevent The Bite, and 2013 American Humane Association Hero Dog of the Year, Elle the Pit Bull and her owner Leah Brewer will teach the kids how to correctly approach a dog. Insurance is an important aspect to being a responsible dog owner. Talk to your insurance agent about the personal liability insurance that comes with your homeowners, renters, condominium unit owners, or manufactured home insurance and how it applies to a bite or other injury caused by your dog and for which you may be held responsible. An important thing to remember is that most landlords do not provide coverage should there be an incident involving a dog. Join State Farm, www.statefarm.com; Insurance Information Institute, iii.org; U.S. 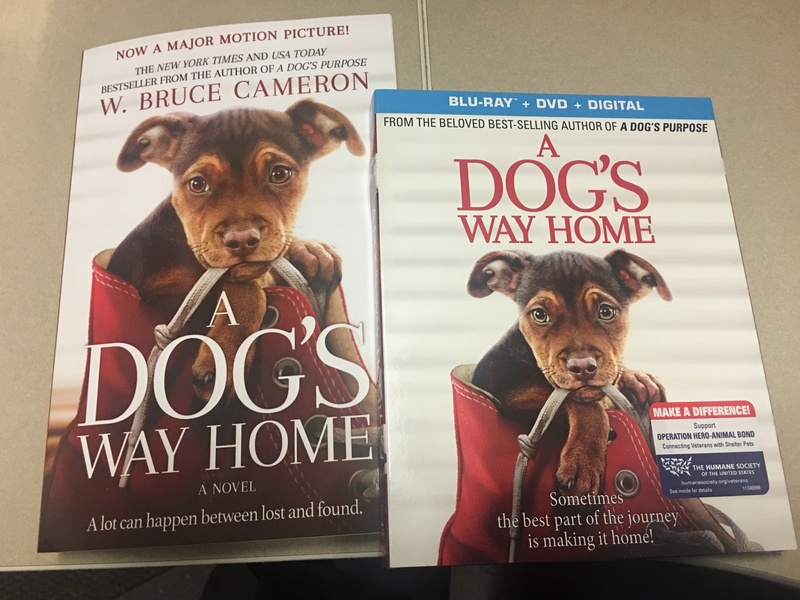 Postal Service, usps.com; American Humane Association, americanhumane.org;American Society for Reconstructive Microsurgery, microsurg.org; American Veterinary Medical Association, avma.org; American Academy of Pediatrics, www.aap.org; and Prevent The Bite, preventthebite.org, to drive home the message that dog-related injuries can be prevented by educating children about safely interacting with dogs and reinforcing responsible dog ownership with adults.